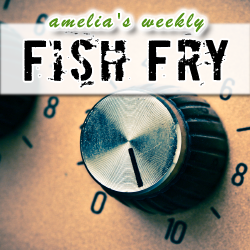 In this week’s Fish Fry, I have a couple of super-cool supercomputing super-stories for you. I look into the Blue Waters Project that aims to solve the world’s most complex problems through petascale computing. I also interview Stefan Mohl (Mitrionics – CTO) about how Mitrionics has reorganized this year, how they are shifting the focus of their supercomputing FPGAs to the HPC market, and how Mitrion-C is facilitating that new focus. I have a super awesome new nerdy giveaway to throw your way this week, but you’ll have to tune in to find out what it is and how you can win.